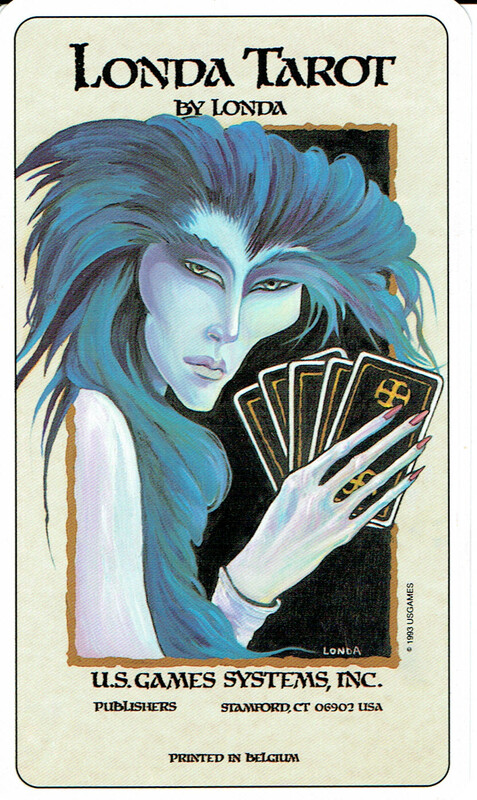 All cards were oil painted by the artist.U.S. 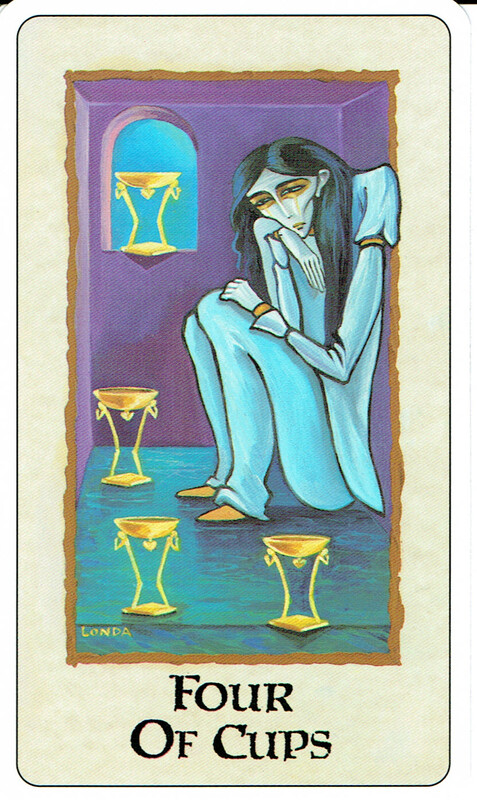 Games owns the 80 paintings for this tarot deck and they are in their collection of art. The artist once designed costumes and make-up for rock groups. The depicted people are slender, androgynous and have angular faces. The scenes on each card are a stage with characters presented in a theatrical manner, they all have a title at the bottom and the Majors have a number at the top. Each card is signed "Londa". 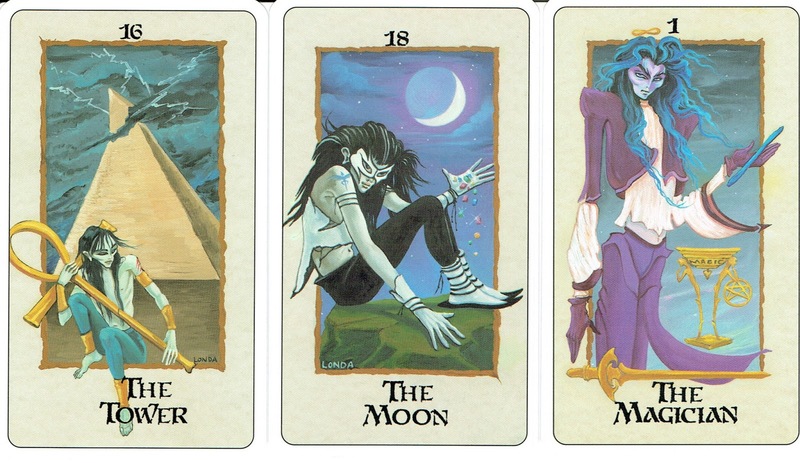 The Minor Arcana images are sometimes based on Waite. The suits are sort of color coded: The people on Wands wear brown clothes and the Wands themselves are brown too, the Cups all have violet/red in the backgrounds, the Cups themselves are golden, the people on Pentacles have green clothes and the Pentacles themselves are golden, the Swords are all blue (the people wear mixed colors) . 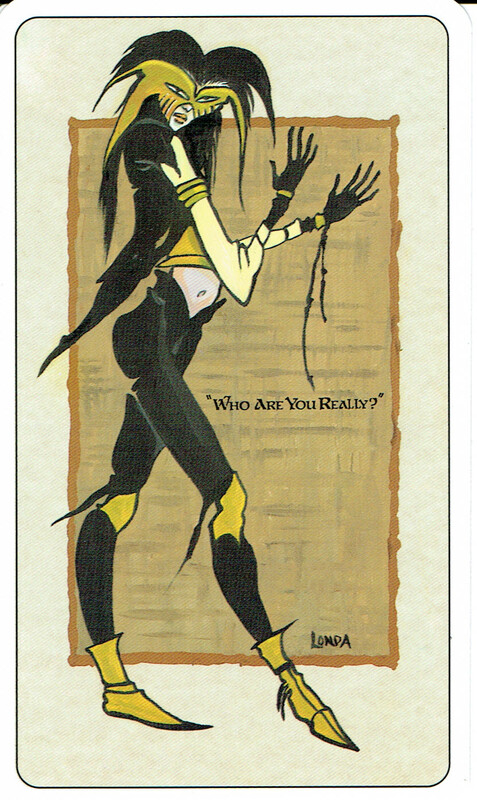 There is a title card and an extra card that shows a masked person with the question, "Who are you really?". 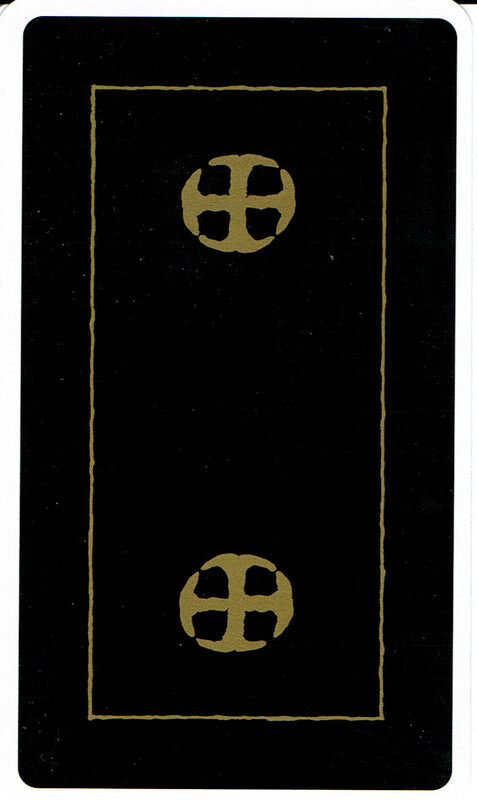 The backs show a circled cross in gold on black and are reversible. The lwb that comes with the deck is written by the artist herself, has some information about the artist and an introduction to the deck, it also contains two of Londa Marks' poems.